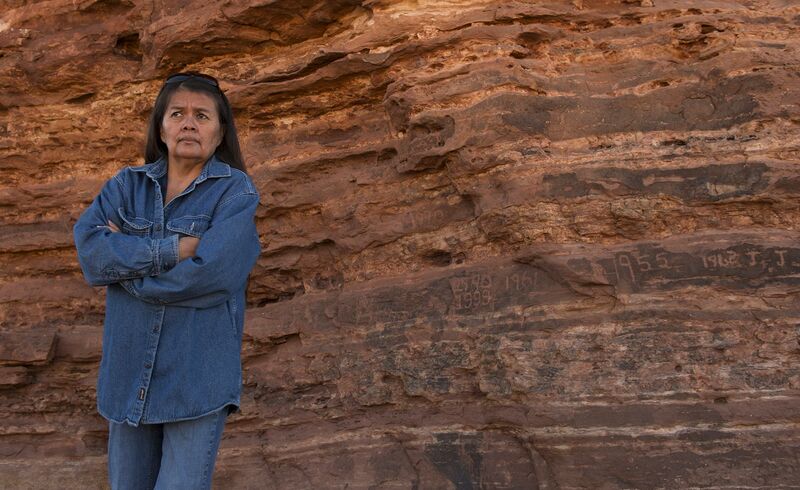 Activist Delores Wilson-Aguirre stands by historic inscriptions placed by her brothers over years of herding sheep for their mother on the lands near the Confluence. Her and her six brothers lived nearby. This site is 12 miles west of highway 89, Arizona. ©Bill Hatcher 2015.